VOLKSWAGEN Commercial Vehicles has opened a purpose-built Van Centre in Hampshire – moving it from one site in the county to another. The Breeze Motor Group outlet at Dunsbury Park, near Havant, boasts 10 service ramps, a VOSA-accredited MOT testing area for class four and seven commercial vehicles, plus a 22-strong team. Breeze has been selling the full range of VW vans, pick-up trucks and passenger carriers for the past 17 years at its site in Poole and 15 years in Southampton. 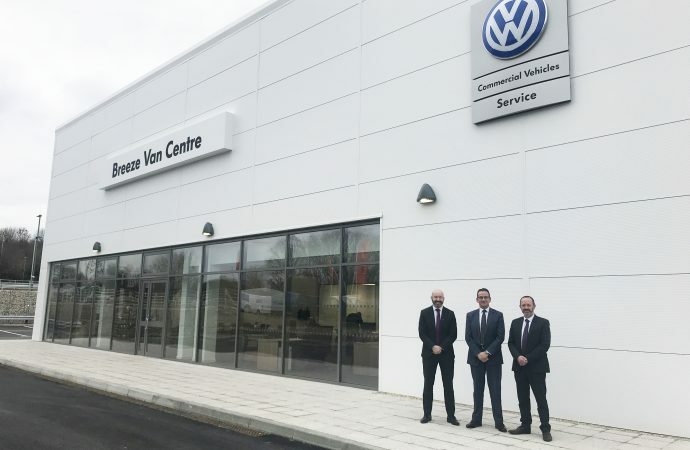 Now it has relocated its former Volkswagen Commercial Vehicles service centre in Hilsea, Portsmouth, to the 1.4-acre dedicated site at the 45-acre industrial park, providing capacity to sell Volkswagen’s Das WeltAuto approved used van and lifestyle range. 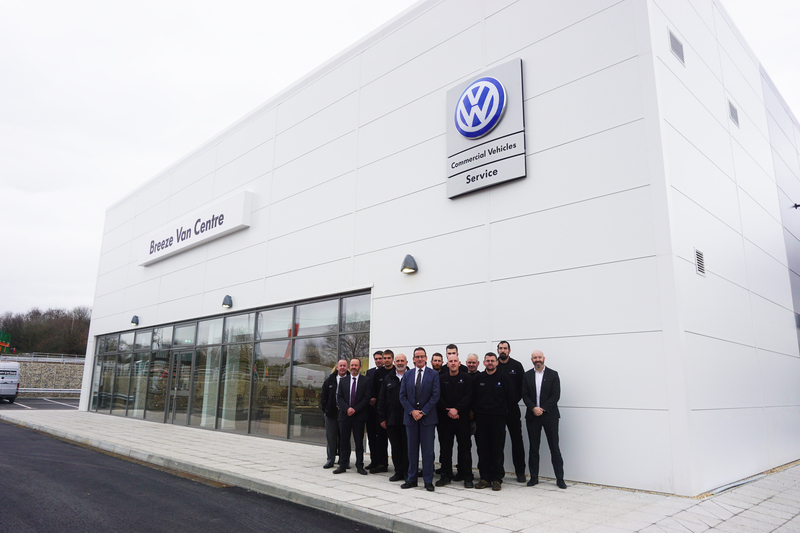 As well as strengthening the group’s presence in the region and increasing options for van operators along the south coast, it is expanding its range of services to offer the approved Volkswagen Financial Services Rent-a-Car scheme, which will allow customers to rent commercial vehicles on a short- or long-term lease. Mark Langford, managing director at Breeze Motor Group, said: ‘We’re really proud of this great new site and can’t wait to show off our Van Centre. ‘This is a very exciting development for us. It is vitally important to our business strategy as it extends our commercial vehicle offering from Dorchester to Chichester. Customers will be able to experience the same great service they’ve always received from Breeze Motor Group right across the south coast from Poole to Portsmouth. The centre has a team of experienced service advisers, technicians and parts advisers, as well as a head of business and aftersales manager, creating 14 jobs. The new workshop brings the number of dedicated Volkswagen Commercial Vehicles authorised repairers to 26. The brand also operates a further 71 full Van Centres providing sales and service facilities. 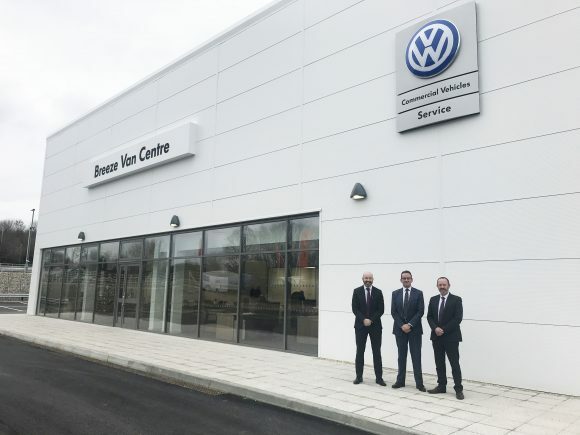 Trevor Hodgson-Phillips, head of service and parts operations for Volkswagen Commercial Vehicles, said: ‘We’re pleased that Breeze Motor Group has chosen to continue its investment in the Volkswagen Commercial Vehicles brand. Breeze Van Centre has proved itself time and again as a trusted partner to customers along the south coast, embodying the Volkswagen Commercial Vehicles brand promise of Working With You.